When it comes to SEO, social media marketing is often thought to play an important part. However, few people truly understand exactly how much SEO and social media overlap. While many people do not appreciate just how important social media factors are, others overestimate just how much influence social media can have on their rankings. The truth is that social media does seem to have an impact on search engine rankings, but it can be difficult to measure exactly how much. While we cannot know the exact influence social media has with Google’s algorithm, we can draw some conclusions from the available data. 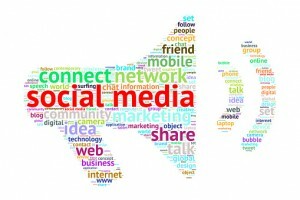 The right social media marketing for your Toronto company can help get you to the top of search engine rankings. Here is what we know so far about social media and SEO. When Internet users share your articles, videos, and posts on social media sites, is there any effect on your search engine rankings? The truth is, social shares on sites like Facebook, Twitter, and Google+ are an important social media factor for increasing ranking. There have been many noted correlations between sharing and increased search engine rankings. This means that simply posting your content may not be enough to dramatically increase your rankings; you also need to have people sharing your content on different social media platforms. While Google has said that social media shares do not play a role, the data suggests that there is a correlation. Play it safe and promote sharing of your content. If sharing does have an effect on your rankings, then what about all your social media followers or page likes? Surely they should have an effect too. However, a look at the available data indicates that there is actually no correlation between fans and search engine rankings. Having one million likes on your company’s Facebook page doesn’t boost you any further up in Google’s search engine. Although social media fans have no direct influence, it is still very possible that they do indirectly contribute to search engine rankings. Since social media sharing does factor into your rankings, having more fans means you can create more opportunities for your content to be shared. Successfully engaging your fans and promoting the sharing of content can end up having a positive effect on your rankings. What the data shows is that it’s not how many followers or Internet users you attract, but how engaged they are with your content. One thousand fans who are actively engaged with your content—helping share and promote it across their social media profiles—are much more valuable than 30,000 fans who never read, share, or like your content. Focus on attracting quality users and create content with which they can easily engage. While many smaller companies are focused on boosting their profile by buying “likes” or getting up to hundreds of thousands of followers, you can outpace them with a smaller, more passionate following.